...there are moments of songwriting panache that are unmistakably ebullient and gratifying. Moreover, Odell's piano playing is beyond superlative. His ability to rock a keyboard is what makes Odell an arresting musician. English indie pop darling Tom Odell first introduced the world to his heart-wrenching melodies and soaring lovelorn anthems with his debut studio album 'Long Way Down' and its smash hit lead single 'Another Love' in 2013. Discovered by Brit pop songstress Lily Allen, who likened the singer songwriter's performance style to that of a latterday Bowie, Odell signed to her Columbia-Records-imprint-label 'In The Name Of' and quickly topped sound polls and the charts, paving the way for a stellar career both nationally and internationally. Transitioning his status from fledgling, fresh-faced newcomer to pop rock stalwart, Odell hits US shores in support of his brand new album Jubilee Road in the Spring of 2019. After the gruelling touring schedule of his last record, the enigmatic performer thought about taking some time out from music, but was so inspired by his neighbours and the community of a new home in East London, the album wrote itself. A sonic tapestry of multiple genres including blues and gospel, its vivid storytelling, keyboard rock outs and theatrical flair call to mind Elton John in his prime. About Toronto Theater: We are an independent show guide not a venue or show. We sell primary, discount and resale tickets and prices may be above or below face value. 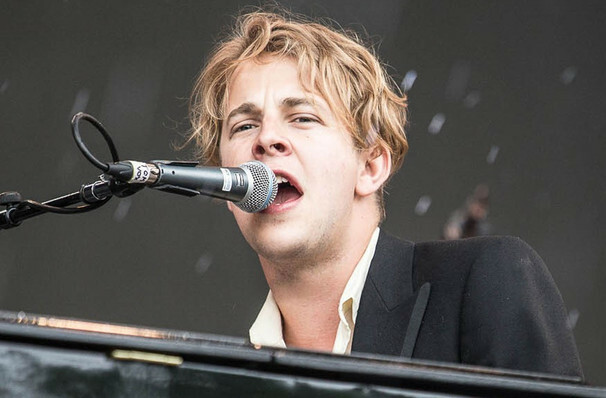 Seen Tom Odell? Loved it? Hated it? Help your fellow Toronto Theater visitors by leaving the first review! Sound good to you? 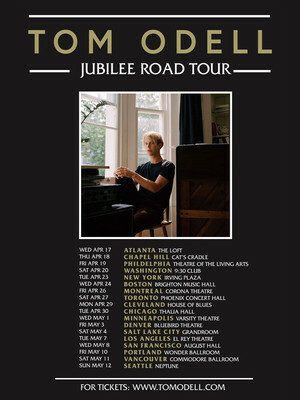 Share this page on social media and let your friends know about Tom Odell at Phoenix Concert Theatre. From the beginning of the pounding percussion line, the energy in the theatre was palpable. I've never felt anything like it! The characters are each flawed and foolish, hopeful and determined. All of them are given moments of ignorance and moments of revelation. Please note: All prices are listed in US Dollars (USD). The term Phoenix Concert Theatre and/or Tom Odell as well as all associated graphics, logos, and/or other trademarks, tradenames or copyrights are the property of the Phoenix Concert Theatre and/or Tom Odell and are used herein for factual descriptive purposes only. We are in no way associated with or authorized by the Phoenix Concert Theatre and/or Tom Odell and neither that entity nor any of its affiliates have licensed or endorsed us to sell tickets, goods and or services in conjunction with their events.